Not unless your landlord agrees to let you do this. If you reach such an agreement with your landlord, make sure you get this agreement in writing. A security deposit is not rent. You may get evicted if you treat it like rent, without your landlord’s written permission. Sign a statement verifying the condition of the apartment. Collect a security deposit from the subtenant yourself. What happens if my landlord refuses to return my security deposit? The Chicago Residential Landlord Tenant Ordinance states that when a tenant moves out, the landlord has 30 days to give the tenant an itemized list of any repairs or deductions they intend on withholding from the security deposit, including receipts/estimates. The landlord has a total of 45 days to return the remaining amount of the deposit, plus interest. If the landlord does not provide the tenant with a list of deductions within 30 days of vacating the unit, they must return the full deposit amount with 45 days of move-out. If they fail to comply, you can sue the landlord for twice the amount of the deposit, plus courts costs and attorney fees. To request your deposit, use Squared Away Chicago to send your landlord a legal notice. If your landlord still does not return the deposit, contact MTO for an attorney referral. Please Note:This pamphlet, published by the Legal Assistance Foundation of Chicago and the Metropolitan Tenants Organization as a public service, gives you only a general idea of your rights and responsibilities under the Residential Landlord and Tenant Ordinance and other relevant chapters of Chicago’s Municipal Code. It is meant to inform, but not to advise. Before enforcing your rights, you may want to seek the advice of an attorney who can analyze the facts of your case and apply the law to these facts. What must my landlord do if he/she wants to have me evicted? She must file a lawsuit against you. This lawsuit is called an “eviction action” or a “forcible action.” Your landlord cannot have you evicted unless he/she wins this lawsuit. Does my landlord have to provide me with a written notice before filing an eviction action against me? Yes. The kind of notice required depends on the landlord’s reason for terminating or refusing to renew your tenancy. What if my landlord wants me to move when my written lease ends? At least 30 days before your lease ends, your landlord must provide you with a written notice stating that he/she will not renew your tenancy. Then, if you don’t move he/she can file an eviction action against you. If I have a written lease agreement, can my landlord have me evicted before it ends? Only if you violate one of the lease provisions. What if I’m behind in my rent? Your landlord can give you a written demand for the rent. This demand is called a “5-day notice” because it states that your tenancy will end unless you pay all the rent owed within no less than 5 days. 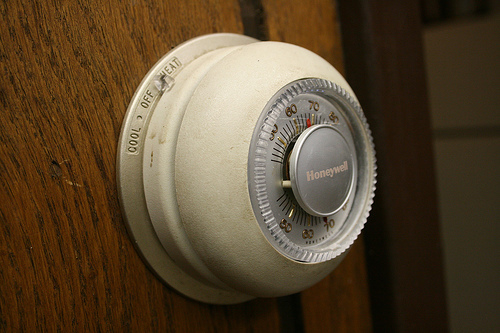 If you fail to comply with this demand, your landlord can file a lawsuit against you. (If you live in a CHA building, the notice must give you 14 days within which to pay the rent). What should I do if I receive a 5-day notice? Give your landlord all the rent you owe within the next 5 days. Bring a witness with you when you make your rent payment. That witness can then testify on your behalf, if your landlord later denies that you paid or tried to pay the amount owed. Always pay with a check or money order. You can then use the canceled check or money order receipt to prove you paid rent on a certain date. What if the 5-day notice demands more rent than I owe? Give your landlord just the amount you owe. What if my landlord refuses to accept my rent within the 5-day period? He/she gives up his/her right to file an eviction action against you. If he/she still files this action, call an attorney immediately. If I don’t have all the money I owe, should I give my landlord a partial payment? Only if he/she agrees, in writing, to (1) allow you to pay the rest of what you owe later, and (2) not evict you for failing to pay everything you owed within 5 days of receiving the termination notice. What if I offer my landlord the rent after the 5-day period ends? What if I violate some other provision of my lease? Your landlord can serve you with a notice describing the violation and stating that your tenancy will end in no less than 10 days. The notice must also advise you of your right to “cure” within this 10-day period, and thereby preserve your tenancy. If you fail to “cure” the violation in a timely manner, your landlord can file an eviction action against you. How can I “secure” a lease violation? By taking whatever action is necessary to correct the violation you committed. Assume, for example, that your lease prohibits you from keeping any pets. If your landlord serves you with a 10-day termination notice because you have a cat, you can cure your violation by getting rid of the cat within 10 days of receiving the notice. What steps should I take to prove I cured the lease violation? Within 10 days of receiving the termination notice, send your landlord a letter explaining what action you have taken to cure the violation. Send the letter by certified mail and keep a copy. If your landlord files an eviction action against you, bring the letter to court. Does the termination notice always have to state a reason for the termination of my tenancy? That depends on whether you have a written lease or an oral (unwritten) lease. If you have an oral lease, the notice does not have to state a reason for the termination of your tenancy. Instead, it may simply state that your tenancy will end in no less than 7 days (if you pay rent every week), or no less than 30 days (if you pay rent every month). Your landlord must give you this notice at least one day before your rent is due. If you don’t move at the end or this 7 or 30 day period, your landlord can file an eviction action against you. How will I know whether my landlord has filed an eviction action against me? You will receive a court document called a “summons,” which states where and when you must appear for trial. Yes. Even if you lose your case, the judge will give you more time to move if you appear in court. Can I have an attorney represent me in court? Yes. In fact, you should contact an attorney as soon as you receive a termination notice. What if I want an attorney but have not been able to contact one before I appear in court for the first time? When your case is called, just approach the judge and say, “Your Honor, I would like a short continuance so I can get an attorney. I would also like to preserve my right to a jury trial.” If you do not want an attorney, the judge may conduct the trial immediately. What should I bring with me when I go to court? Bring the summons you received, as well as any evidence that supports your case (such as your lease agreement, rent receipts, pictures of your apartment, letters you wrote to or received from your landlord, etc.) . You should also bring any witnesses who are willing to testify on your behalf. What happens at the trial? Your landlord will present his/her case first. When he/she finishes, you will be allowed to tell your side of the story. Keep it brief. Write out what you are going to say beforehand so you do not forget anything. What defenses can I assert at the trial? There are many possible defenses, so you should discuss your case with an attorney before you go to court. The judge will order you to move. he/she may also order you to pay your landlord any rent you owe. If I lose my case, how much time will I have to move? In most cases, the judge will postpone your eviction for a period of 7 to 21 days. You cannot be evicted before this period ends. What if I need more time to move? You can file a motion for an extension of time. The day before you are scheduled to be evicted, go to the Advice Desk in the back of Room 602 of the Daley Center and ask the person sitting there to help you file this motion. What if I was not in court when the judge ordered me to move? You can file a motion to “vacate” the judges order. As soon as you learn that the judge ordered you to move, go to the Advice Desk in the back of Room 602 of the Daley Center and ask the person sitting there to help you file this motion. If my landlord wins the eviction action, who can actually force me out of my apartment? If you live in a CHA building, the CHA police can evict you. Otherwise, only the Sheriff of Cook County can evict you. Your landlord cannot evict you. What should I do if my landlord tries to force me out of my apartment without following the proper legal procedure for having me evicted? Call the police. (For more information, read the pamphlet entitled Lock-outs and Retaliation). Please Note:This information, published by the Legal Assistance Foundation of Chicago and the Metropolitan Tenants Organization as a public service, gives you only a general idea of your rights and responsibilities under the Residential Landlord and Tenant Ordinance and other relevant chapters of Chicago’s Municipal Code. It is meant to inform, but not to advise. Before enforcing your rights, you may want to seek the advice of an attorney who can analyze the facts of your case and apply the law to these facts. Lead is a poison that impacts everyone, especially children ages 6 years and younger. Lead can harm the brain, nerves, kidneys, digestive system, hearing and cause muscle and joint problems. Even at low levels, lead can affect cognitive abilities causing a lower IQ and learning disabilities. The effects of lead on the body and brain are irreversible. How is lead related to your home? Lead was used in paint prior to 1978. Most homes built prior to 1978 have some lead in them. Over 70% of homes in Chicago were built before 1978. Paint made prior to 1950 was especially high in lead. The older the home, is the greater the potential for lead hazards. Invisible lead dust, not paint chips, are the main source of lead poisoning. Windows and porches are the most likely sources of lead hazards in your home. Are there other sources of lead around my home? Yes. Soil in and around your home may contain lead. In older homes, some water pipes may contain lead. What if I have lead paint in my apartment? Most apartments built prior to 1978 have lead paint. Lead paint becomes hazardous when it is disturbed by friction, impact and moisture which causes the paint to break down into dust. If you suspect your apartment has a lead hazard (ie. chipping paint) call the Renter’s Hotline for more information. If there is a child aged 6 or under residing in the home, you may enroll in the free Safe and Healthy Homes program for personalized information on how to prevent lead poisoning in your home. What should I do if there is a lead hazard in my unit? Inform the landlord. Call the Renter’s Hotline [link]. Call the city of Chicago’s Childhood Lead Poisoning Prevention program at 312.747.LEAD. You may request an inspection. 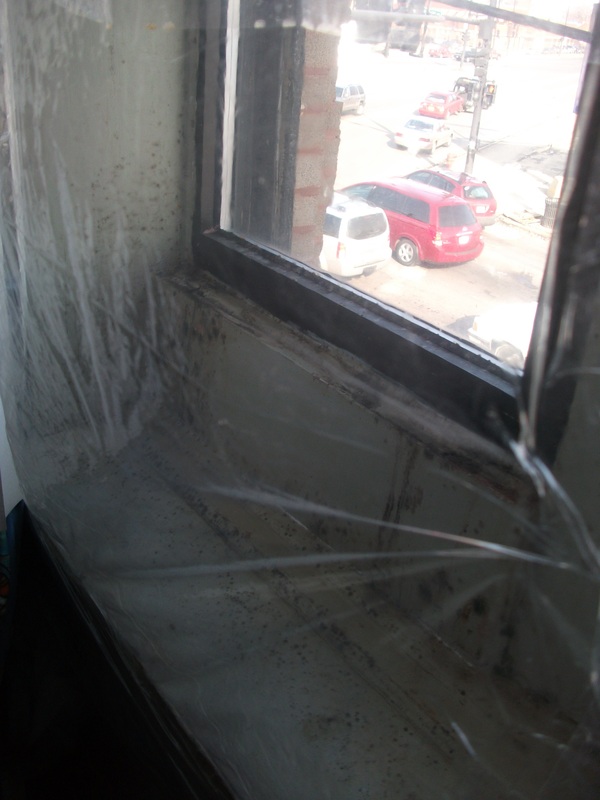 The Department of Health has several programs that may provide financial assistance to landlords or homeowners seeking to replace old windows. Does my landlord have to inform me if there is lead in my apartment? Under federal law, at the start of a tenancy, the landlord must provide tenants with a lead disclosure form that details any known lead hazard in your unit or the common areas and a copy of the EPA booklet “Protect Your Family from Lead in your Home“. Under 2004 Childhood Lead Prevention Act, the landlord must also post a notice if a lead hazard has been found in another unit. That notice must remain posted until all documented hazards are properly repaired. If there are renovations or repairs being done in my building, does that expose my family or me to lead? Maybe. If your home was built before 1978 [find out here: www.newschicago.org], your landlord or the contractors (s)he has hired must follow the EPA’s Renovation, Repair, and Painting rule, which came into effect on April 22nd, 2010. Watch this video to know what precautions contractors are now required to take if working in a building built before 1978. Contractors must be certified and must follow specific procedures to prevent possible lead contamination. Homeowners and Landlords – There is money available to make repairs to lead hazards, including for window replacement. Income qualification can be based on tenants’ income. Learn more here. Learn more about MTO’s free lead poisoning prevention program here. This FAQ describes the different types of leases, how and when you can terminate a lease and identifies different lease provisions that are prohibited by law. Does every tenant have a lease agreement? Yes. It may be a written lease or an oral (unwritten) lease. What is the advantage of a written lease agreement? It sets out the terms of your agreement with the landlord. Furthermore, it states how long your tenancy will last, and your landlord cannot terminate this tenancy early unless you violate one of the lease provisions. If I do not have a written lease, when can my tenancy be terminated? Either you or your landlord can terminate it with at least one month advance written notice (if you pay rent every month), or at least 7 days advance written notice (if you pay rent every week). Neither of you has to give reason for terminating the tenancy. If I have a written lease, can my landlord raise my rent before the lease ends? Only if the lease states that the landlord can do this. Otherwise, your rent must remain the same until the lease ends. If I do not have a written lease, when can my landlord raise the rent? Your landlord can raise the rent only after giving you advance written notice. If you pay rent on a monthly basis, you must receive at least one month written notice. If you pay rent on a weekly basis, you must receive at least 7 days written notice. What if I have a written lease that has provisions that I don’t like? Don’t sign it. Once you sign the lease you are bound by all its provisions unless these provisions are against the law. (Illegal provisions are listed below). If you don’t like a provision, ask your landlord to cross it out. If he/she agrees to do this, both of you should put your initials next to the provision that has been crossed out. What lease provisions are against the law? Receive a discount that is equal to more than the monthly fee allowed by the Ordinance if you pay your rent before a certain day of the month. How much can my landlord charge as a late fee? If your monthly rent is $500 or less your landlord can charge you no more than $10 per month. If your monthly rent is more than $500, your landlord can charge you an additional fee equal to 5% of the amount that exceeds $500. Therefore if your rent is $700, your landlord can charge you $10 pus 5% of 200, for a total late fee of $20. Is my lease still in effect if it has an illegal provision? Yes. Your lease is still in effect, but your landlord cannot enforce the illegal provision. If he/she tries to enforce an illegal provision, you can sue him/her. Do I have to move if my landlord sells the property before my lease ends? No. Your lease remains in effect and the new owner has to comply with the terms of this agreement. If I have a written lease, what happens when it ends? If you want to leave the apartment when your lease ends, you can just move. You do not have to give your landlord any advance notice. At least 30 days before the lease ends your landlord must provide you with a written notice stating that your tenancy will not be renewed. If you do not receive this notice in a timely manner, you may stay in the unit for up to 60 days after the date on which you do receive the notice. (remember, however, that your obligation to pay rent continues during this 60 day period). Only if your landlord agrees to let you out of the lease or violates your rights under Chicago’s Residential Landlord and Tenant Ordinance. If you want to break the lease because your landlord has violated your rights, contact an attorney. Your landlord must make a good faith effort to re-rent the apartment. If she’s unsuccessful, you remain responsible for the rent. If he/she rents it for less than what you were paying you remain responsible for the difference. Yes, and your landlord cannot charge you any subletting fees. Furthermore, if your landlord does not let you sublet to a suitable person, you don’t have to pay the rent for that period that begins when the subtenant was willing to move in. You remain responsible for it. Please Note:This information, published by the Legal Assistance Foundation of Chicago and the Metropolitan Tenants Organization as a public service, gives you only a general idea of your rights and responsibilities under the Residential Landlord and Tenant Ordinance and other relevant chapters of Chicagoís Municipal Code. It is meant to inform, but not to advise. Before enforcing your rights, you may want to seek the advice of an attorney who can analyze the facts of your case and apply the law to these facts. You may not see mold, but you may smell something like this in the basement. How do I know if I have mold in my apartment? The basic rule is “if you can see mold or smell mold, you have mold.” There are no fancy tests needed to tell you what kind of mold you have. Any mold in your home or apartment is bad mold. Can I withhold rent or use my rent to fix a mold problem? Yes. See “Apartment Repairs and Conditions.” Mold grows on wet or damp surfaces. 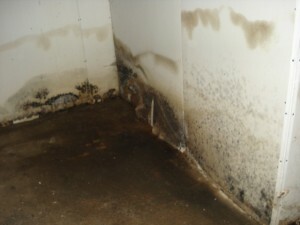 If mold exists in your apartment, it is important to fix any moisture problem first. Painting over mold does not get rid of the problem. Only after the moisture problem is fixed, should you paint. Those black spots on the window sill are mold, most likely caused by condensation and old, drafty windows. The moisture problem on the windows at this home also loosened up so much paint that the child living here became lead poisoned. Is my landlord responsible if my property is damaged by mold? If you believe your property was damaged as a result of the negligence of the landlord, make a detailed list of all the property damaged and send the list to the landlord asking for compensation. If the landlord refuses to pay you will need to contact an attorney.